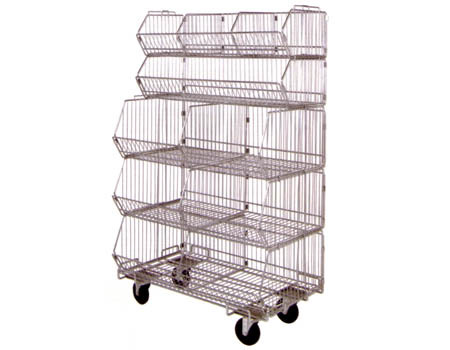 These modular stacking wire bins offer an infinite variety of storage, display and mobile supply applications. 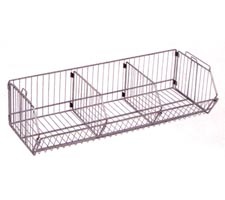 The dividers can be used to separate products within the same bin. 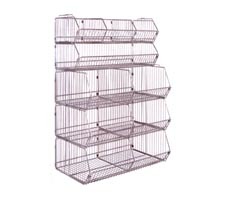 The baskets are easily accessibly from the front and a large selection of sizes allows for many different product types to be stored. 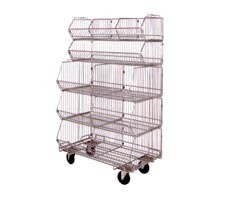 The mobile unit includes a 20"D x 36"W dolly, while the stationary unit does not. Dividers shown in photo are NOT included by default. They must be purchased separately. Small quantities may be shipped via UPS - larger quantities may be less expensive to ship via LTL truck freignt. 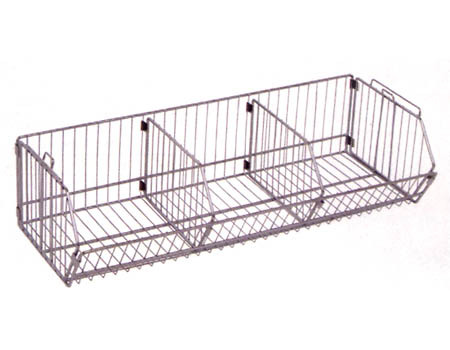 Stacking rack is an efficient, sturdy rack solution that is also easily portable. 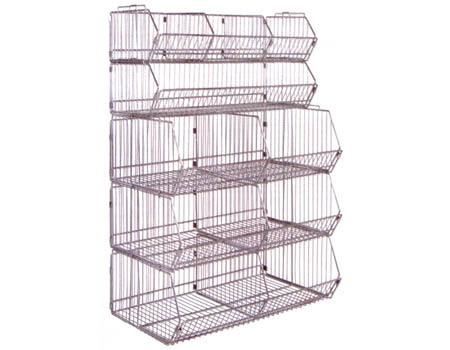 Keep parts stored within reach - these modular wire bins can be combined in a wide array of configurations.